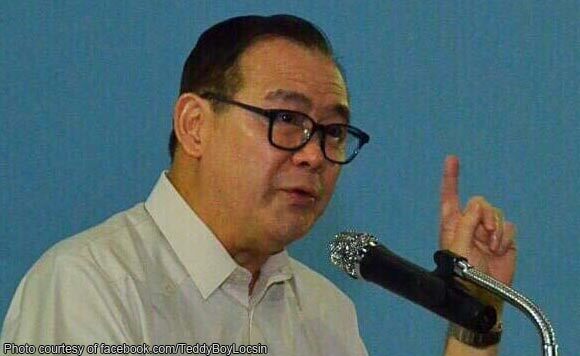 Foreign Affairs Secretary Teodoro “Teddyboy” Locsin Jr. believes local officials of Batangas who allowed a Chinese-manned dredging vessel to dock in its shores should be arrested. In a tweet posted Thursday, Locsin said the structures which will be built using the sand collected by the dredging vessel should be considered as the Philippines’ own. “They also got the sand from us to reclaim the reefs so in a way the structures on the reef are ours. Why are we not arresting local government officials who permit the dredging?” he asked. The presence of MV Emerald in Lobo, Batangas has caused alarm among residents because some of its personnel are Chinese. According to the Philippine Coast Guard, the vessel was in the area to dredge sand from the Lobo River, which would reportedly be used for the runway expansion of the Hong Kong airport. Local officials confirmed that there was a contract in 2008 between the ship’s operator and the Lobo government, but it has already been superseded by a new agreement with another company.